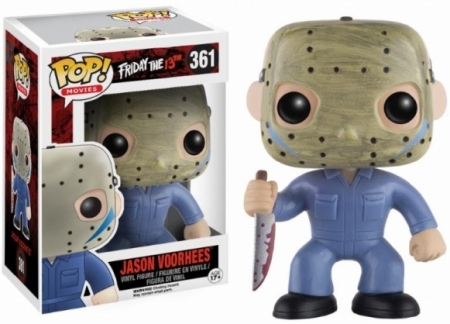 Fridays were never the same again and the Funko Pop Jason Voorhees figures help remind us of this fact. The nightmare-inducing set brings horror fans a few options for their favorite character from Crystal Lake. In 1980, Friday the 13th raised the stakes and set the bar high for future slasher films. 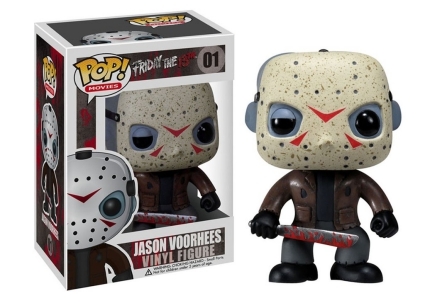 Therefore, it's quite fitting that Jason Voorhees stars as box #01 in the main Pop! Movies line. Displaying his classic look, the Sultan of Slaughter dons the iconic hockey mask as he grips a bloodied machete. A glow-in-the-dark chase variant appears virtually identical to the main figure with the exception of the mask, which looks much smoother and very white as that is the portion that glows. Shop for Funko Jason Voorhees Figures on Amazon. 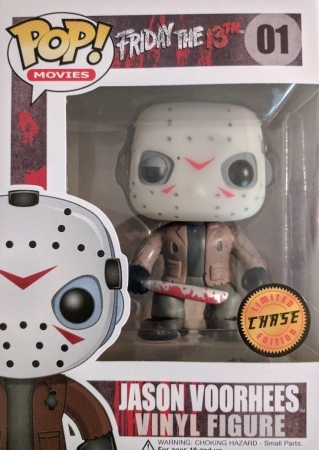 In addition, Funko Pop Jason Voorhees exclusives include an unmasked version from the 2015 San Diego Comic-Con, as well as the masked man wearing a blue suit (Friday the 13th: A New Beginning) issued through Hot Topic. If you still yearn for the ultimate match-up between the legendary baddies, you're in luck. A 2-pack pairing Jason Voorhees and Freddy Krueger debuted at FYE outlets, while the bloody version is a BoxLunch exclusive. 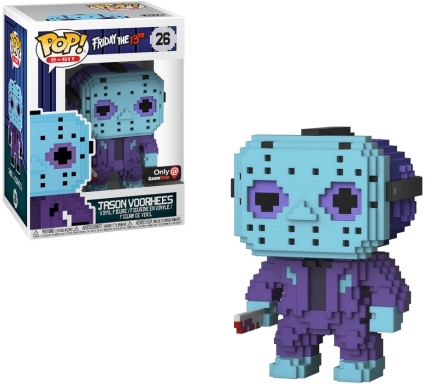 The Funko Pop 8-Bit line offers pixelated versions of Jason Voorhees including a GameStop exclusive featuring the masked man in throwback NES (Nintendo Entertainment System) blue and purple colors. 2-Pack: Freddy Krueger & Jason Voorhees - f.y.e. FUNKO POP! FREDDY KRUEGER & JASON VOORHEES (8-BIT) #25 26 - FREE Protector! 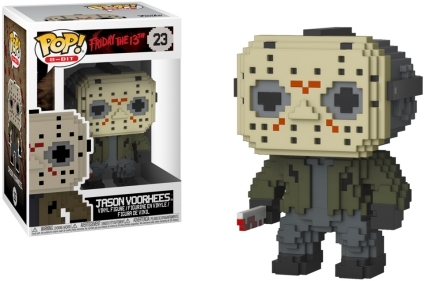 Funko Pop 8-bit Friday The 13th Jason Voorhees Only at GameStop. 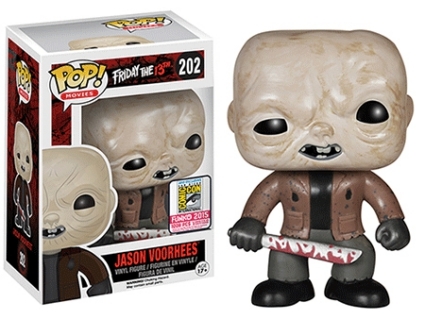 See more details on Jason Voorhees figures with our other Funko guides.